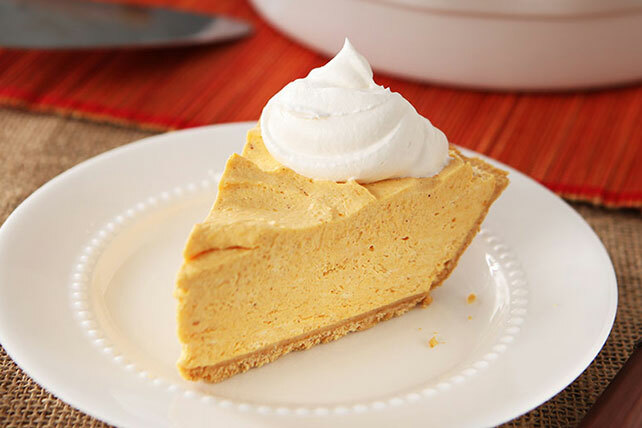 Pumpkin, fall's golden child, is blended into a delectable cheesecake, all without turning on the oven. Pumpkin, cheesecake, no-bake. Enough said. Place completely unwrapped package of cream cheese in microwaveable bowl. Microwave on HIGH 10 to 15 sec. or just until slightly softened.